Bristol is bidding to be a major player in quantum technology with a major new centre backed by leading global companies. 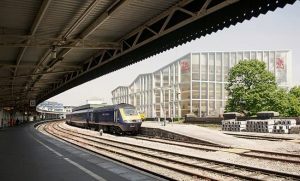 The University of Bristol is setting up the world’s first open access Quantum Technologies Innovation Centre (QTIC) as part of a £43m project on the new campus at Temple Meads. The quantum technology industry is set to be worth £1 billion to the UK economy in the next ten years, and the centre is expected to lead to 9,000 new jobs and generate almost £300 million for the economy in that time. He adds, “Our aim is for the facility to be an internationally recognised centre for the engineering and commercialisation of practical integrated quantum technologies, enabling companies from any sector to co-create new products and exploit the quantum advantage,” he said. The funding includes £15m from the West of England Local Enterprise Partnership (LEP), £21 million from industrial partners such as Airbus and Boeing, as well as £7 million from the University of Bristol. 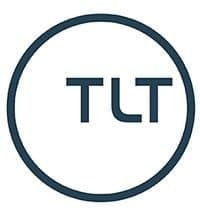 It will provide affordable specialist incubation facilities for businesses developing and commercialising quantum technologies, from sensors to cryptography systems. As one the main industrial partners, Airbus is developing quantum technology for encryption in satellites, quantum computing for simulation and next generation sensors. “We are looking forward to working with QTIC and the University of Bristol on quantum topics to support and establish a supply chain for these technologies, essential for our future ability to bring quantum enhanced platforms to market,” says Paolo Bianco, R&T Co-operation Manager at Airbus. Other partners also include quantum computer pioneer DWave and test equipment maker Keysight as well as local startups KETS Quantum Security (whose chip is shown above) and quantum device driver startup Qontrol. KETS has already won a major competition backed by Facebook and BT for its technology. The centre will open in 2021 and will include a mixture of specialist labs, incubation facilities, office space, meeting rooms and conference facilities to co-locate industrial engineers and entrepreneurs with over 200 university researchers. It will also host training centres for apprentice technicians through to PhD qualified quantum engineers and entrepreneurs; an enterprise hub allowing for start-up and early incubation of new businesses; access to a global network of quantum inspired engineers, scientist, venture capital, industrialist and entrepreneurs; and affordable access to outsourced semiconductor chip fabrication. The University of Bristol is a major partner in two of the UK government’s quantum hubs and predicts it will help to establish over 40 new quantum businesses as a result, which in turn will benefit from the facilities at QTIC. 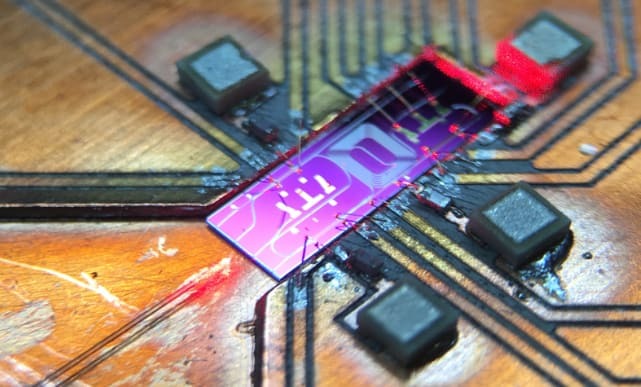 Bristol University’s Quantum Information Institute is already researching the next generation of quantum technologies and has spun off several companies to commercialise the technology.